Every child who has been abused believes one thing: it was their fault. Abuse can be the root cause of many inappropriate behaviors that helped the child adapt or respond to their abuse. At CALM, we know that a child must tell his or her story so that the healing can begin. CALM counselors support the non-offending parent in correcting the child’s misperceptions, that they caused the abuse, that they were responsible. After the story is told, healing can begin. 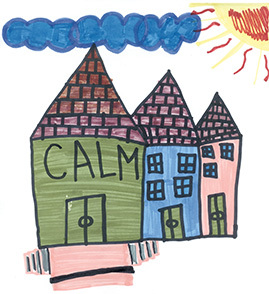 CALM’s Childhood Trauma Treatment programs help children of all ages and their families who have experienced sexual abuse, physical abuse, violence in their home, or neglect.